If you are planning a trip to the Adriatic Riviera but dread being closed in by Dubrovnik’s ancient city walls, there's a refreshing, wooded alternative nearby where you can breathe fresh air and relax. 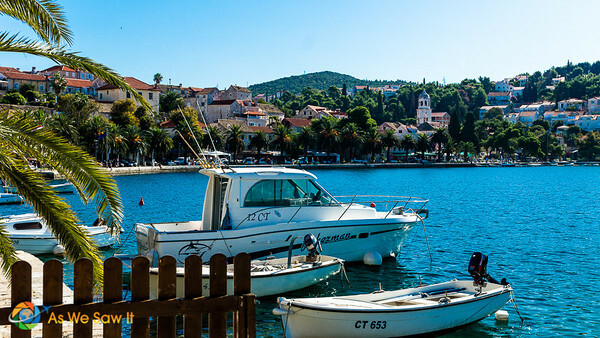 Just south of Dubrovnik is a small harbor town named Cavtat. Though travelers have been going there for years, it was a discovery to us. We'd not have known it if our driver hadn't recommended that we drive a few minutes down the coast to see it. 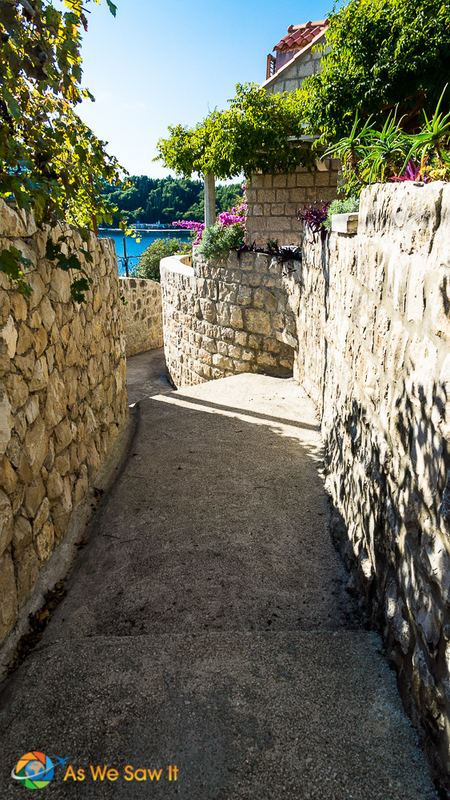 Cavtat: More than a Dubrovnik alternative, it may be its polar opposite! 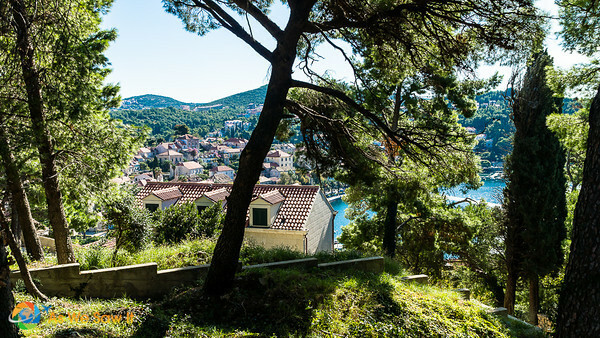 Dubrovnik may be the Pearl of the Adriatic, but Cavtat (pronounced tsavtat) is a pearl in its own right. 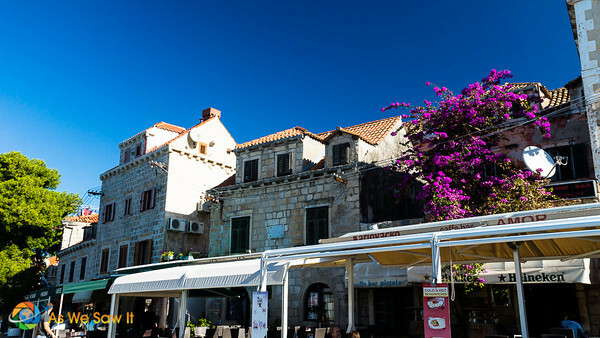 It is the complete mirror opposite of busy Dubrovnik. 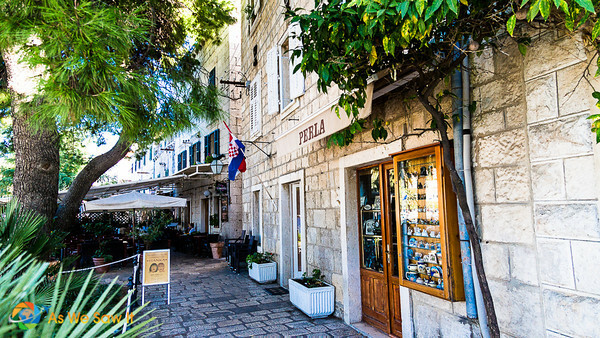 We're talking about a laid-back vibe, no tall buildings, no crowded streets, plenty of greenery, birds and flowers, and a view of the sparkling Adriatic from practically every place in town. Before the war it had a reputation as an exclusive retreat for wealthy Croatians and as a thriving hub for working artists, and is now developing as a resort for foreign tourists. Dan and I shared the trip with Celia and Jim, a couple we'd met on the boat. We'd hit it off because Jim is also a photographer. (He also has his own website, entitled The Way I See It. Lol … what are the odds?) It made the trip much more affordable; we (and they) probably wouldn't have done it if we'd been on our own. 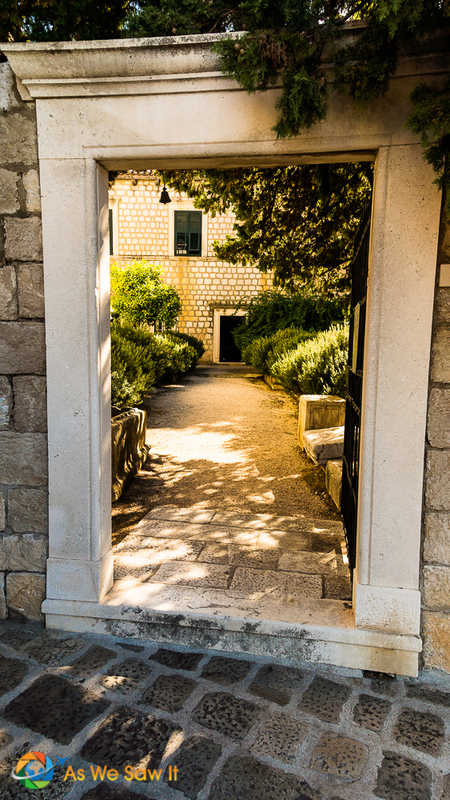 Tip: If you'd like to see it on your own, buses and ferries run between Cavtat and Dubrovnik all day long. 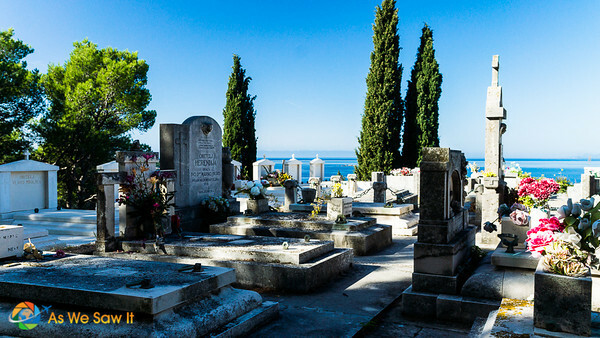 When we arrived our driver dropped us off at the bus station and suggested that we visit a well-known mausoleum, high on top of a nearby hill. He'd be waiting for us. We took a few minutes to enjoy the sight of fishing and tourist boats bobbing next to sailboats and motorboats, then crossed to the Visitor Center. The friendly attendant gave us a map and told us that yes, the mausoleum is worth seeing. The map brought us to a wide waterfront promenade fringed with palm trees and cypress. This was obviously the cosmopolitan center of the town she'd mentioned, known as the Riva. Locals and tourists sat on benches and watched us dodge souvenir racks of postcards. We ignored the shops selling cheap T-shirts and ashtrays sporting the Croatian flag and continued on. I forced myself to ignore the flashes of silver and white as waiters prepared their outdoor tables for lunch. It would have been nice to sit at a table overlooking the water, but it was a little early and we had agreed to eat in Dubrovnik, anyway. Because Cavtat is on a peninsula (actually, two peninsulas) it's next to impossible to get lost. The promenade becomes a walkway that runs around the peninsula all the way back to the bus station. It passes beaches and small pathways though, so be prepared for the temptation to take a detour or two. 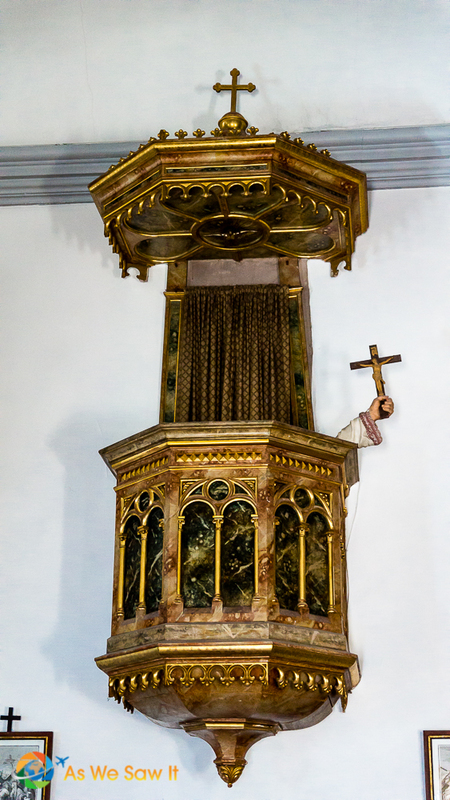 See the lectern? There's a hand sticking out from it, holding a cross. Seems to me somebody has a sense of humor. 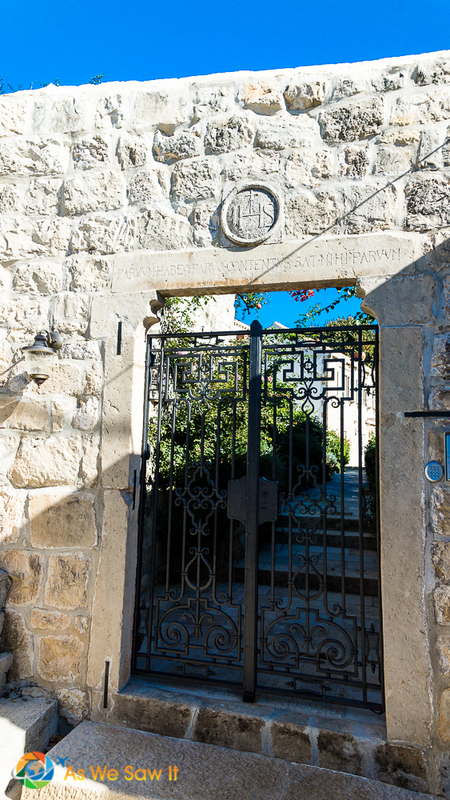 We exited from the quiet church back into the bright sunshine and turned to begin our climb up to the mausoleum. 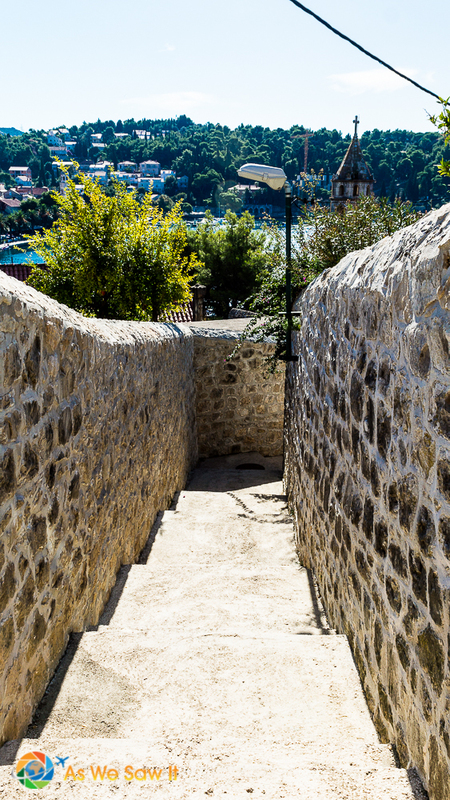 We might have tried to follow one of the cobbled streets to the top (not sure) but … since we knew the mausoleum was at the top of the hill, it seemed easier to just follow a stairway between some houses. If we kept heading upwards we knew we'd arrive there eventually. Celia decided to save her knees and opted out of the climb. Since Jim is also a photographer, we suggested he set his own pace. Soon he was out of sight. We preferred to take a bit more time so Dan could get the shot he wanted. He's such a fan of doors and windows and there were plenty on the way up. There are far too many photos to share here. 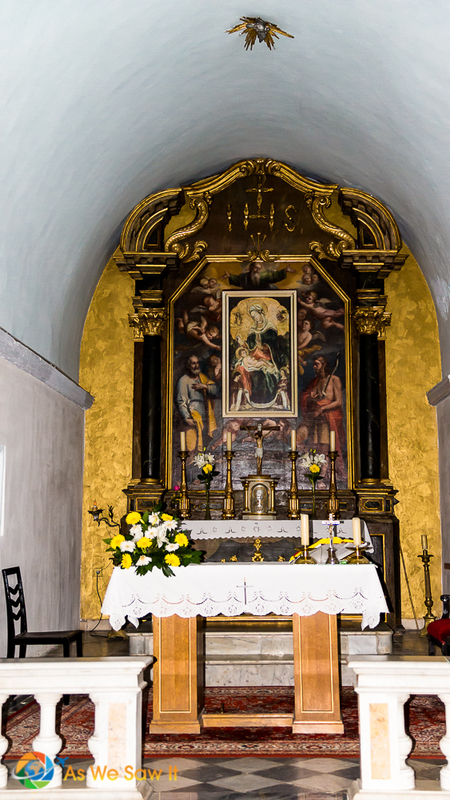 You're invited to see more of them in our Cavtat photo gallery. When we finally arrived at the top of the hill, we found ourselves in a forest, fragrant with herbs and flowers. No one had hinted that this end of the peninsula is given over to semi-wild parkland! In just minutes we'd stepped from a forest of houses, streets and stairs into a peaceful world of bird song and greenery. We stopped for a few moments to enjoy the quiet and then continued on. 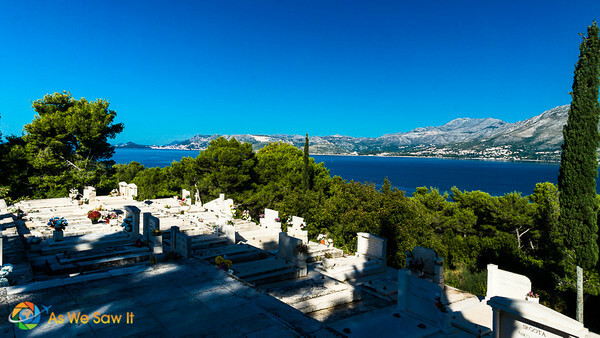 We found ourselves in a small graveyard, with a spectacular view of the Adriatic. The mausoleum turned out to be an octagonal white dome with huge bronze doors decorated with gargoyles of dogs, eagles and winged lambs. 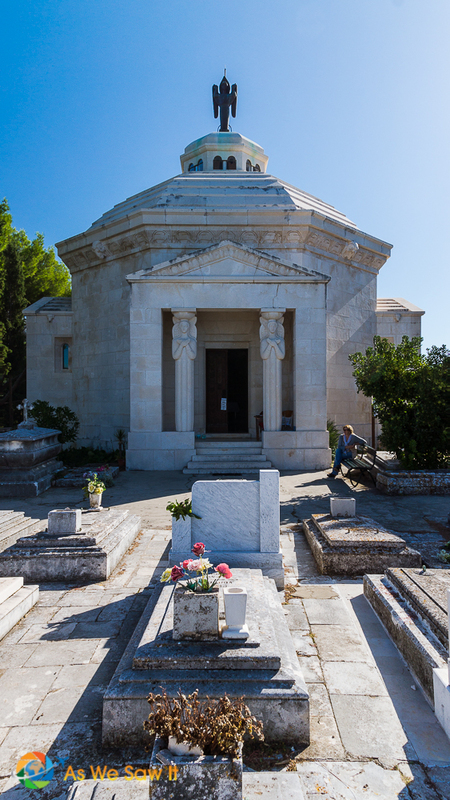 A woman was sitting in the shade outside of the mausoleum's doors, charging for entry, so we chose not to pay to see the sarcophagi. The view was enough of a reward for our effort. We could even see Dubrovnik in the distance. The trip back down the hill was prettier than the walk up. 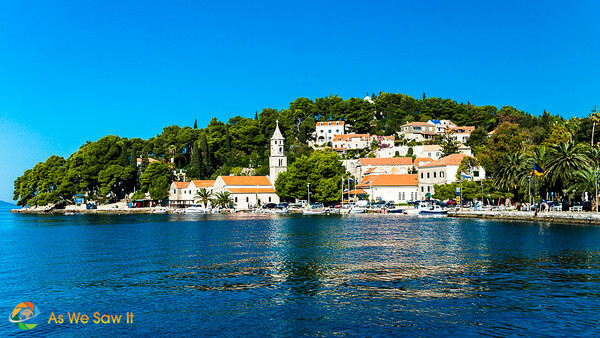 Between the sand-colored walls we could see the traditional red roofs of Cavtat and the luminescent blue water. Coupled with the clouds of white, fuschia and pink bougainvillea blossoms that spilled over the tops of walls, it was a riot of color. I'm sorry the photos don't do it justice. Back at the water we admired the boats as we looked for Jim and Celia. 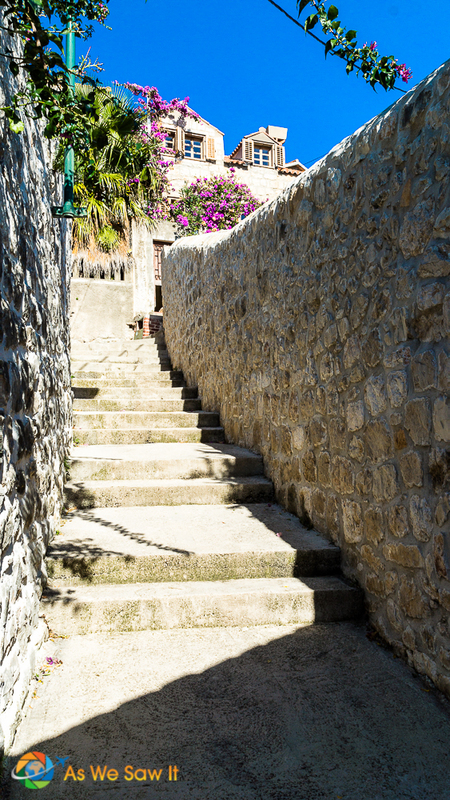 It was time to head to Dubrovnik and see what the town was like. As I said in my previous post, you can see a lot in one day in Dubrovnik. I'm glad Cavtat was part of ours. We agree. Dubrovnik was nice but Cavtat and Split were so much better! Such amazing view!! As beautiful as a painting. This place sure goes in my travel bucket list! gonna write to you for more tips for sure! Thanks, I’m looking forward to seeing you finish your blog. This looks to be a wonderful area, the views are stunning. I love old villages, just to wander the streets because you never know what treasure you’ll come upon. Hopefully, one day we’ll make it to that part of the world – so many places to see! Yes, the views are stunning. It’s so pretty we even fantasized about living there. Catvat looks lovely! We’ll definitely visit next time we make our way to Croatia. The last time we were in Dubrovnik, we took the little passenger water taxi over to Lokrum island for some beaching and a relaxing day away from the city crowds. Spending the day at Lokrum Island had never occurred to me. Thanks for the idea. It is. We think it would make a nice base for visiting the area.